Well I spent the weekend binge watching Outlander. I guess that it doesn't make for quick as good of an ending scene if Jamie is getting sea sick. While watching, I managed to get a couple pieces of jewelry completed for my From The Sea collection. I need to get get fifteen done by July 5th with all the pics taken and descriptions written up. The pic above is of the start of one of the bracelets. 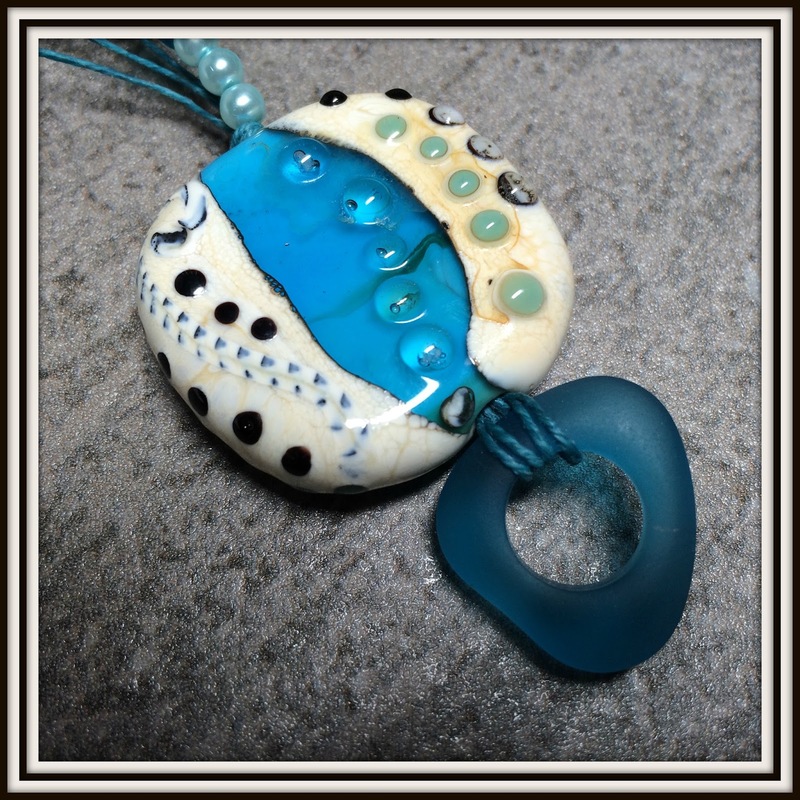 I love mixing lampwork and cultured sea glass. I need to stop buying beads so I can save up to get some bigger stuff around the house. No big tragedy since I have a lot purchased already. Now it's time to sell some so that I can buy more. Yeah novel concept. My jewelry business needs to support itself. We have a younger woman living here trying to get herself back on her feet. Well it seems to me that she is actually backsliding rather then taking advantage of the space and time we have given her. I really hate laying down the law but I think that I am going to have to. Otherwise, we will have room that we can rent out. Hey bead money! Those beads are awfully nice. My beads are boxed up, since we moved I haven't had the space for beads and sewing and I have had a blanket to make so that's taken up the space for now.